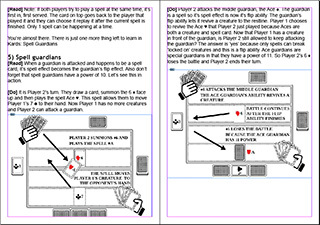 All the rest of the content is laid out in the rule book Indesign file. The heading styles are in. I had to redo them because I wanted to remove hyphenation. The screenshot shows the last page with images. What’s next: I want to reread the text and then try to get a draft printed out.